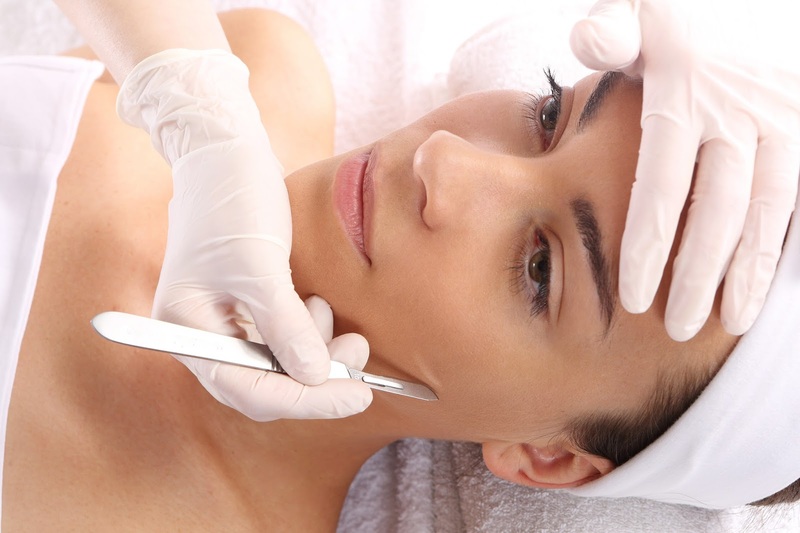 Dermaplaning is a simple procedure that works to refresh and revitalize your skin without any pain or downtime. Dermaplaning rids your face of unwanted vellus hair, otherwise known as peach fuzz. It also helps your daily skincare products penetrate easily and into deeper layers of your skin, making them more effective than ever. The SHAW Center’s Spa offers Dermaplaning for those seeking a more flawless complexion without having to endure harsh chemical alternatives. Using light feathering strokes, our aesthetician will carefully exfoliate the top layer of the skin using a specialized surgical blade or scalpel. This removes dead skin cells, peach fuzz and stimulates new skin development along with collagen. All in all, the procedure takes around 30 minutes, it’s completely pain-free and requires no down time. Immediately after the treatment, your skin will look glowy, more radiant and hydrated. Dermaplaning is the ideal means of exfoliating the skin because of how mild the actual treatment is. It doesn’t require any chemicals, which makes it great for most skin types, even sensitive skin. Although a surgical blade may sound scary, the treatment feels like you are lightly brushing your skin. This is the ultimate treatment to offer to patients who are pregnant or nursing and desire a deep exfoliation but aren’t allowed to use peeling agents or chemicals on their skin. Additionally, Dermaplaning is relatively inexpensive compared to other professional exfoliation treatments. The SHAW Center offers both Microderm and Dermaplaning to brighten and clear your complexion. Each procedure delivers the same results and is a comfortable way to get a little more out of your usual facial. Microdermabrasion sands and suctions dead skin cells, whereas Dermaplaning is suited for drier skin types because it scrapes off the epidermis layer more gently, without the suction process. No matter what treatment works best with your skin type, you can expect instant results. Microderm and Dermaplaning both diminish fine lines, fade dark spots and deeply exfoliate skin that’s been subjected to dryness, makeup and environmental factors like sun. Your skin will feel clean, smooth and clear right after the treatment. You will also notice that your foundation goes on smoother, your skin tone is more even and many people report that they break out less frequently and easily.